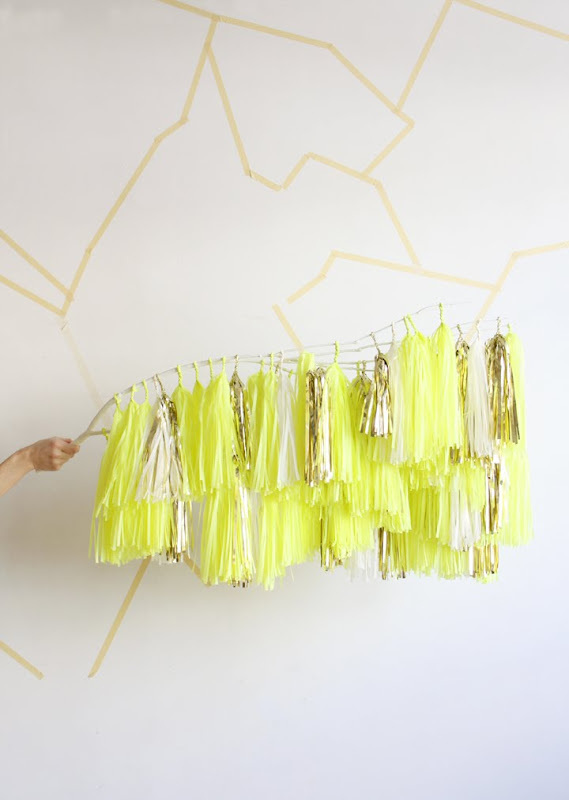 The fringe trend is going strong (thanks in large part to Confetti System). 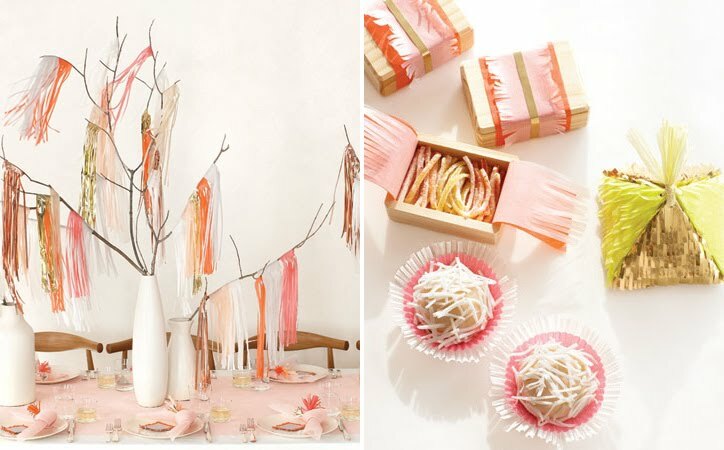 These images have me thinking of ways to incorporate some fringed paper into my weekend festivities. 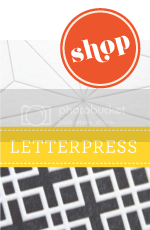 OH, and did you see the fringey monogram on Oh Happy Day earlier this week? Amazing. prettiest fringe I have seen! why are martha stewart's DIY's so amazing? love! the neon yellow + gold color combo is so fun! LOVE all these tassel garlands!! Makes any space a party instantly! !